Artificial Intelligence is coming to Market Research. Is your job safe? What kind of opportunities will AI bring to market research? Which tasks and activities are likely to be “outsourced” to machine learning in the coming years? Qualtrics surveyed 250 verified market research decision makers to understand how they think AI will change the industry, and whether that change is creative or destructive. See the full report as a downloadable PDF. 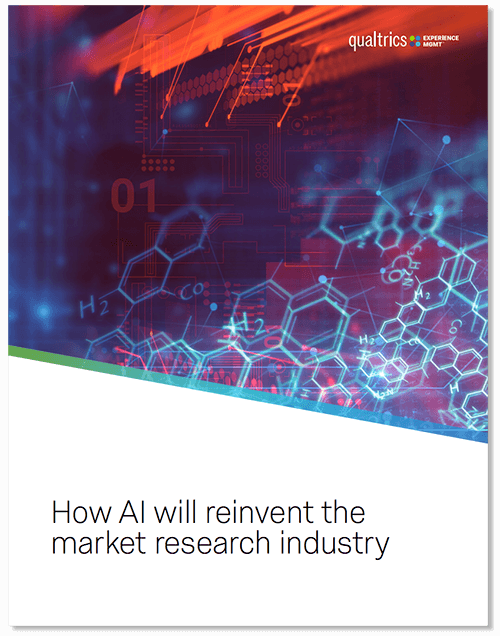 "How AI will Reinvent the Market Research Industry"